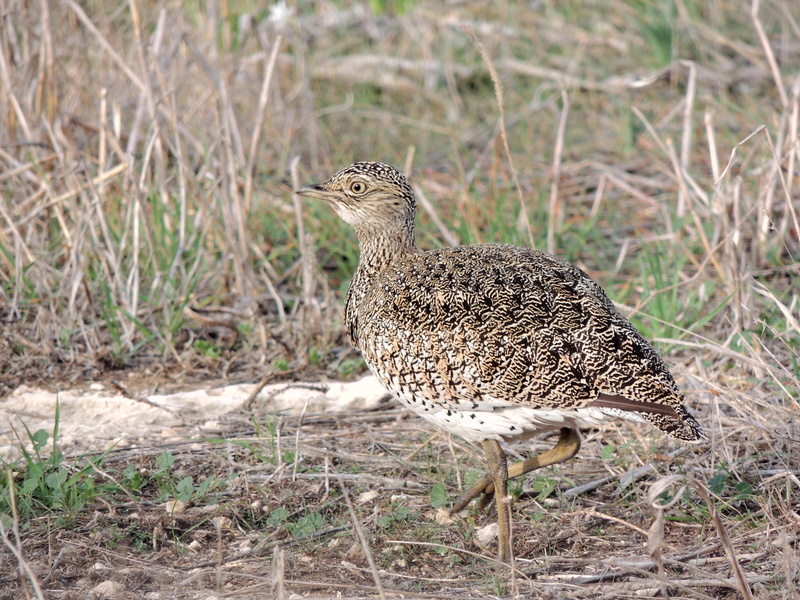 If anyone had told me this time yesterday that I would soon not only have seen a Little Bustard in Cyprus but would have taken photos of it I would never have believed them. Every year there is anecdotal evidence of shot individuals and it is even reported that certain specimens have found there way to local taxidermists. In the past it was known as a scarce to fairly common winter visitor to low ground here but the only recent validated record of a live bird seems to be from December 1979 (Flint and Stewart. The Birds of Cyprus 1992). Therefore I was surprised to receive a copy of a photo of one late yesterday afternoon and to discover that it had been taken a few hours earlier and just outside Nicosia. The bird had chosen as hard to find location as you could imagine and one that was a bit too close to the UN Buffer Zone for comfort. Anyhow this morning I was taken by its finder, George Constantinou, out way past Geri to see if it had spent the night in the area. We must have searched for around thirty minutes before we found it. We stayed in the car and it didn’t really seem aware of our presence at all, feeding and moving around the area – sometimes only a few metres in front of us. 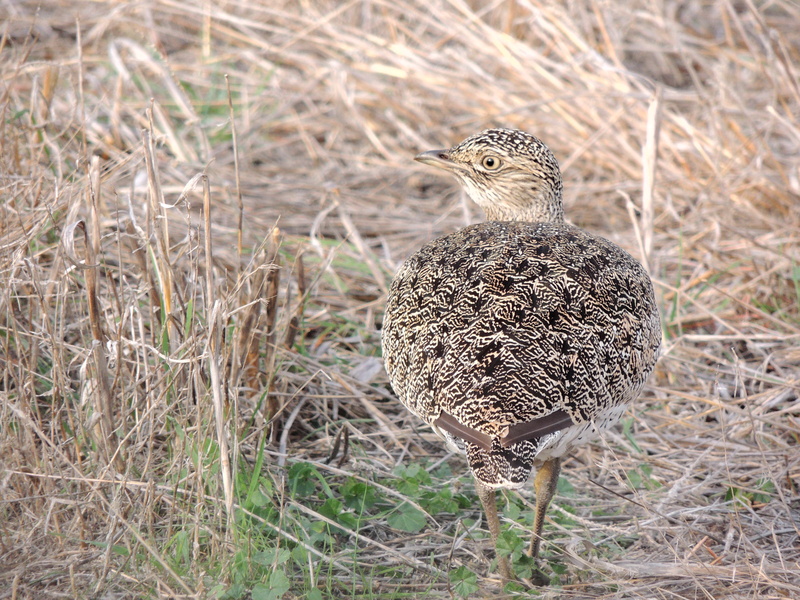 What a great bird and such a great find. Last year I waited till December for my birding highlight of the year – finally seeing a Wallcreeper – and almost twelve months to the day I get the birding highlight of 2013! 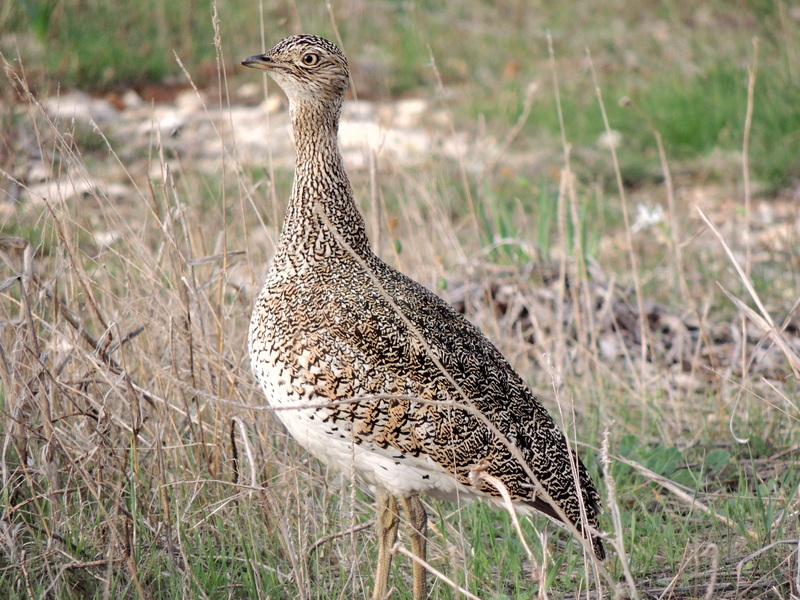 Categories: Birding | Tags: Cyprus Birding, Cyprus birds, Cyprus birdwatching | Permalink.